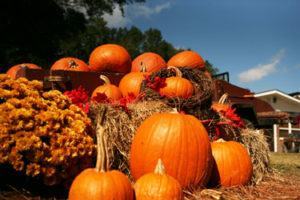 Opening October 4th, Holiday Farms offers pumpkins and so much for the whole family. Along with annual favorites such as Duck Races, Haytona Speedway, Corn Grinding, Steer Roping, Cow Milking, the new Jump Pad is sure to be a blast. Stop by and visit all the animals in our Barnyard Zoo. While you’re here you need to check our our General Store, where you will find The Great Pumpkin Patch, t-shirts, local honey, jams & jellies, olive oil soap, toys, candy, refreshments, and more. Holiday Farms books trips for schools, churches, scouts, and other groups for daytime tours. For ultimate fun, groups may schedule a “night ride” with a wiener and marshmallow roast… perfect for children, teens, and adults. Open Sunday 1 – 5 p.m.
Prices: $12 Admission per person. Price includes all activities, games, wagon ride, and a pumpkin. Unlimited barrel car rides for $3 per child. Directions from Bluffton: Get on 170 towards Beaufort. Just past Oldfield, take the first paved road to the left- SC-462. Follow until it dead ends at Coosawhatchie. Turn right onto SC-462 for .6 miles. Turn left onto SC-462/Morgan Dollar Rd. for 4 miles to dead end. Turn right onto US-278/Grays Hwy. for 1.4 miles to The Great Pumpkin Patch on the right—look for the big orange pumpkin. Make sure to stop by and check out our pumpkin patch! Beautiful pumpkins, all sizes, mums, gourds and all of your decorating needs. Hours: Mon. – Wed.: 7:30 a.m. – 5 p.m., Thurs. – Sat. : 7:30 a.m. – 9 p.m., Sun: 9 a.m. – 3 p.m. Address: 1055 May River Rd. Dempsey Farms offers pumpkins for sale in the shop or farmstand, pumpkin patch-pick in the field, tractor-pulled hay rides, honey from hives on the farm, a farmers market with an assortment of fall vegitables, restrooms and a picnic area. They also have a 8-acre maze cut in Sudan Grass. Hours: Monday, Wednesday, Friday and Saturday 10 a.m to 6 p.m. Click here for current open hours, days and dates. Directions: 11 miles east of Beaufort on Highway 21 south. Along with a pumpkin patch with haystack Lowcountry Produce has face painting, a puppet show, prizes, refreshments, games, a picnic area and barnyard animals. The Country Store offers jams, jellies, honey, and gifts. Hours: Open Year Round, 8:30 a.m. – 5:30 p.m. 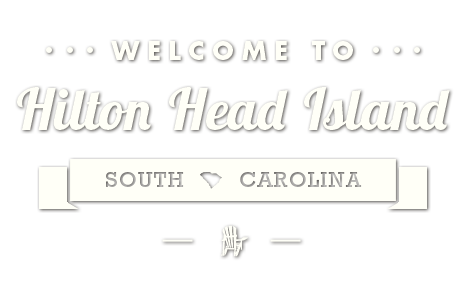 Directions: Just outside of Beaufort, SC. 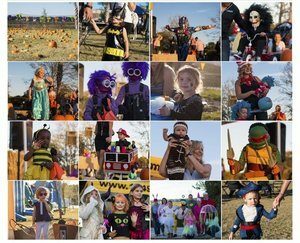 The Island Recreation Association doesn’t just fill Shelter Cove Community Park with pumpkins for their annual Pumpkin Patch event in October; they bring bounce houses, animals, costume contests and vendors out to the park for a day of fun. 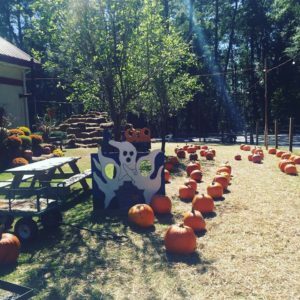 This Pumpkin Patch festival will have a field of pumpkins where kids can pick out, paint and decorate pumpkins. This annual event is known for its Halloween costume contest, in which kids are awarded for having the most original, funniest, scariest and the overall best costumes. There are also hayrides through the park, as well as face painting and other fun activities for kids. In past years there has even been petting zoos with pony rides and the chance for families to feed animals. When: Saturday, October 27, 2018, 4- 8:00 p.m.